It's kind of like a dream come true. You watch Godzilla movies as a kid, grow up and work for a comicbook company that makes Godzilla comics, and then start a viral, and effective, social media campaign to be the self-appointed "Official Correspondent of Godzilla". Thus is the story to-date for a very deserving Benjamin Bailey. 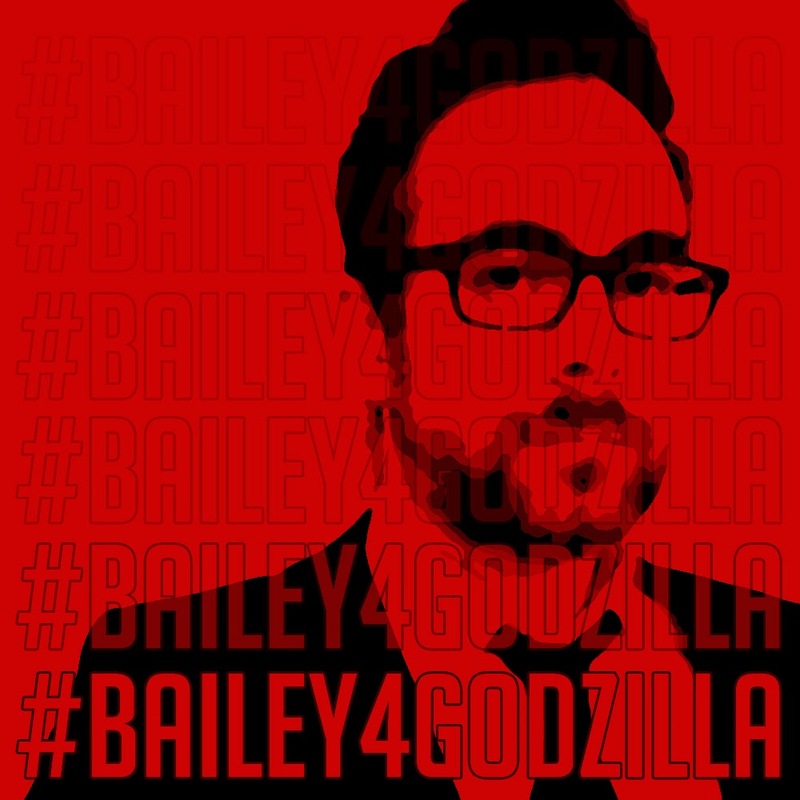 ComicBook.com recently caught up with Mr. Bailey and interviewed him on the success of his viral campaign to be the Official Correspondent of Godzilla. Read the interview below, followed by a link to the full interview at ComicBook.com. Adam P. Knave: What is it about Godzilla that makes you love him? Benjamin H. Bailey: I had a big dinosaur obsession growing up. Every Saturday night, there was a show on the local cable station called “Godzilla Theater.” Basically, they’d play old Godzilla flicks and show some trivia and commentary before commercial breaks. It was on at like midnight, so my parents would tape it and, on rare occasions, let me stay up to watch it. In a pre-Jurassic Park era, Godzilla perfectly scratched my dinosaur itch. I just thought those films were so magical, they had everything I wanted, action, destruction and giant monsters duking it out. Ever since then, the King of Monsters has had a special place in my heart. At his best, he’s a force of nature. Great Godzilla films are basically disaster stories. Stories of survival. They aren’t about defeating Godzilla, ’cause everyone knows you can’t do that. They are about surviving him, and there is something really compelling about that. APK: Why this movie, right now? Bailey: We haven’t had a new Godzilla film in along time. The last one, Final Wars, was in like 2004. Plus, I think we can all agree that America didn’t exactly do right by the character last time. So far, the stuff they have shown looks amazing, so as a Godzilla fan it’s hard to not be excited. Great cast, promising director and a big budget, this looks like Godzilla done right. They seem, at least so far, to capture that disaster element. The previous American version tried to make Godzilla a straight up action flick and it didn’t work. APK: What would you consider your duties as Official Correspondent to be? Bailey: Ideally, I want to be a part of the viral marketing process. Contests, trivia, videos, anything I can present, share and promote in some official capacity. I’d also love to go to the premiere, maybe do some interviews with the cast. Basically, I want to help lead Team Godzilla. Help spread the word in some ridiculous official capacity. APK: What qualifies you above all others for this? they were putting together ideas as to how the could use me. Really, what it comes down to, is I love Godzilla and I clean up real nice. Put me in a suit, Legendary. APK: In the ever-changing world of social media, interacting with traditional media, is this sort of outreach by fans to media companies, something you see as a growing trend? Bailey: It’s crazy the reach social media has. This started out as a bit of fun that grew into a massive film production company contacting me. It’s insane. I think as long as people are since about it, this trend will grow. I’m not making fun of Godzilla, I love the property and I want to be a part of it. That was part of the reason that Legendary said they reached out to me, they could see my genuine enthusiasm. It’s a fine line, for sure, but I think media companies reacting directly with their fans is a very good thing. APK : Is there a problem giving your work for free to, say, Legendary, as in will it contribute to a thought process that we don’t need to pay for PR/writers/etc? Bailey: I don’t think stuff I’m doing is in anyway a replace for general PR. I mean, I’m not putting anybody out of job because the job I’m campaigning for doesn't really exist. Really, it’s just putting fans to work spreading their love of a project, and that is something companies have been doing for a very long time. Social media allows for that, with the “Like us on Facebook” or “Retweet and Follow!” I think what I’m attempting is similar to that, only dumber. I’m aware of how ridiculous it is and I embrace it. APK: What would Godzilla think of you working for him? Bailey: There’s this scene in the comic series Half-Century War where the books lead character, who has been trying to stop Godzilla for 50 years, tries to get the giant to just look at him. He just wants Godzilla to acknowledge he exists, to know that he has struggled his whole life against him. Godzilla doesn’t even look in his direction, can’t even see him. That’s me, only I’m supporting the big guy. Godzilla doesn't need support, he’d just step on me, a fate I willing accept. APK: Who is the best enemy Godzilla has? A little more about Mr. Bailey's upcoming projects at Comicbook.com's post, "Captain Ultimate Co-Writer Benjamin H. Bailey Wants To Help Lead Team Godzilla"
Sorry, what? This guy may be someone of note in the world of comics, but where does his Godzilla credibility come from? There's an established world of Godzilla historical and critical studies and fan relations in North America, and names like David Kalat, Steve Ryfle, Ed Godziszewki, August Ragone, Stuart Galbraith IV and JD Lees are just a few of those that spring to mind as having genuine qualifications to work with Legendary. And he is certainly NOT the only one campaigning Legendary for any of these duties. Representatives from Toho Kingdom have been working very hard at establishing a positive relationship with WB/Legendary. If the outreach from the legitimate North American Godzilla fan and academic communities - people who have worked for years, even decades to keep Godzilla visible on this continent - are passed over in favor of this guy, it'll cause serious friction with the existing community. Uh oh, I'm posting anonymously again. Kyle Yount is KING of Kaiju !!!!! !